RITES Ltd Recruitment 2019: RITES Limited / ritesltd.com is conducting recruitment processes to fill 13 vacancies. As of now, there are nine recruitment drives going on for DGM (S&T) Posts, GM (Civil) Post and others. Updated March 29, 2019 12:31am by Harish Kumawat | No. : PERS/9/6/Depu./GM/Elec. RITES Ltd Recruitment 2019 - Apply Online/ Offline for Director (Finance) Post in Department of Personnel & Training, RITES Ltd, New Delhi on Absorption. Online Applications are invited by RITES Limited from 15 Feb 2019 to 23 Apr 2019 till 03:00 PM for 1 vacancy. 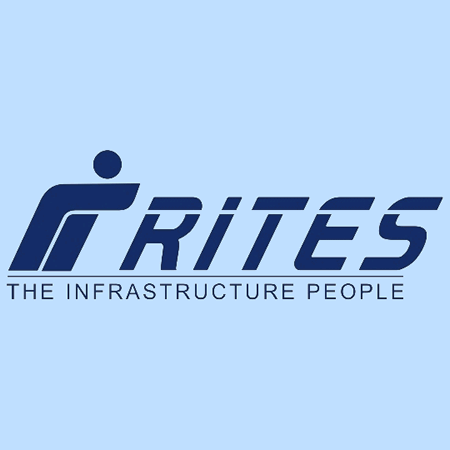 RITES Ltd Recruitment 2019 - Apply Online for 40 Graduate Engineer Trainees Posts in RITES Ltd, Gurgaon, Haryana. Online Applications are invited by RITES Limited from 19 Mar 2019 to 16 Apr 2019 for 40 vacancies.